This post contains affiliate links. HECR receives a small commission from purchases made through these links at no cost to you! Thanks for your support! 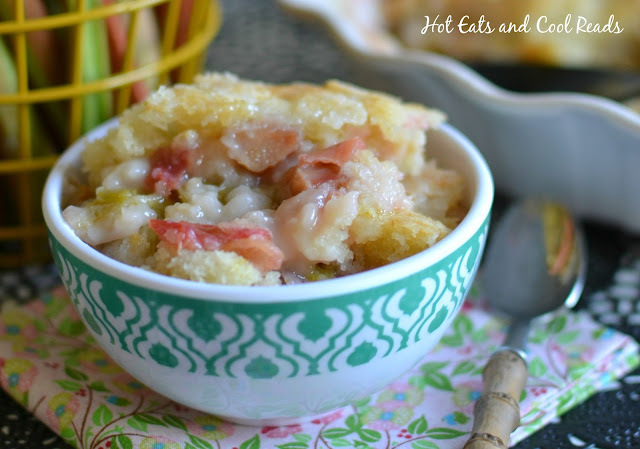 This non-traditional rhubarb dessert will be a new springtime family favorite! Serve with whipped cream or ice cream on top for an extra treat! It's no secret by now. 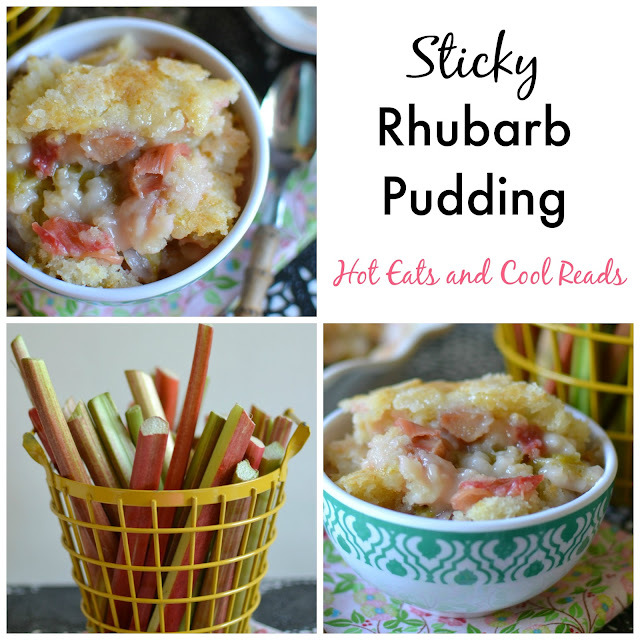 I LOVE everything rhubarb! I'm a true Minnesotan and like many people who live here, we have rhubarb growing in our backyard! I have three rhubarb plants, and they are just now starting to pop out of the ground and grow! That's how you know it's truly springtime! I eat rhubarb raw sprinkled with salt or sugar, or in desserts of course! 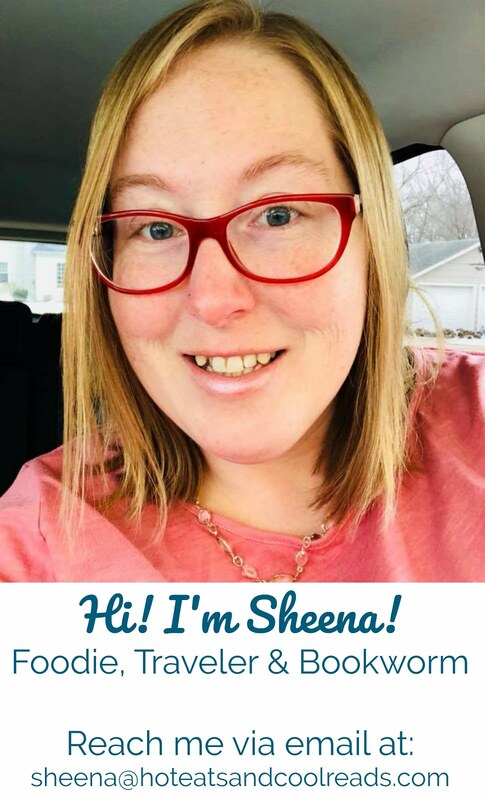 Some of my previous rhubarb recipes include: Blueberry Rhubarb Sorbet, Brown Sugar Topped Rhubarb Cake, Rhubarb Coffee Cake, Strawberry Rhubarb Pudding Dessert, Rhubarb Peach Lemonade, Rhubarb Cream Cake and last but not least, Rhubarb Dump Cake! I have even more recipes than that, and you can find those by searching rhubarb in the search bar! Today's rhubarb dessert is quite unique! The list of ingredients is unusual, but somehow when it's all baked together, it turns out to be so delicious! The top is crispy, but the rest is creamy, sweet and tart! Just like I like my all of my rhubarb desserts! 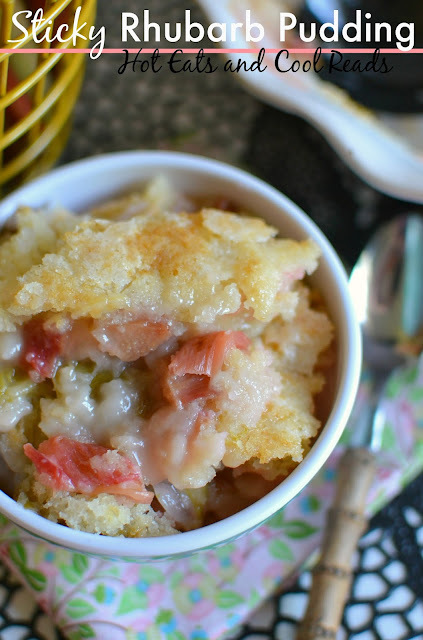 This recipe was one of the last rhubarb recipes I made last spring. So I saved it for you this year because it was too late to post! Keep an eye out for more rhubarb recipes within the next month or two! As soon as the harvest is ready, I'll be cooking, baking and posting them! Can't wait to share with you what I come up with this year! If you liked this post, follow the Hot Eats and Cool Reads board on Pinterest here! I love food blogging, but I also love essential oils! Check out my Young Living page here! Grease a 9 inch square pan. Pour chopped rhubarb in the bottom. In a bowl combine flour, granulated sugar, milk, melted butter, baking powder, salt and vanilla extract. Stir until smooth. Pour over rhubarb and spread evenly. In another bowl, combine powdered sugar and cornstarch. Scoop mixture evenly over top of rhubarb and batter mixture. Pour water over top. Bake for 1 hour. Remove from oven, cool and serve. Refrigerate leftovers. I shared your post to facebook for my family because, like you, we come from the....everyone has a rhubarb patch....families. love rhubarb and cant wait to try this. Thank you for sharing. This was tasty and amazing texture. Served with cream and fresh berries to add tang and some sweetness, as the flavours are quite simple on their own. In similar recipes for this type of pudding dessert, the water when added, is to be boiling. Your recipe doesn't specify temperature. Could you please enlighten as to temperature of water that you used in this recipe? I used room temperature water in this recipe. Thanks for stopping by! This is the same recipe that I have, and so easy and good! This recipe is terrific and so easy. Thank you for sharing it with us.